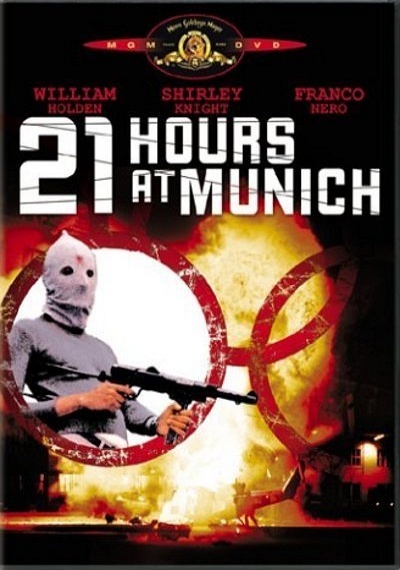 21 Hours at Munich :: Movie Information :: RabbitTV GO! Chilling account of events that shocked the world at the 20th Olympic Olympic games in Munich, West Germany, when a gang of eight Arab terrorists killed two Israeli team members and took nine others hostage. They demanded the release of over 200 Arabs held in Israeli prisons, but Israel refuses to negotiate with terrorism, leading to the eventual deaths of all of the hostages at a desperate shootout at the airport. The film is a heart-wrenching depiction of courage and heroism in the face of overwhelming odds.